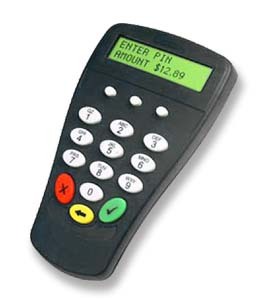 The Hypercom S9 Pin Pad is a PCI approved hand-held device that you can plug and play into your existing Hypercom terminal. 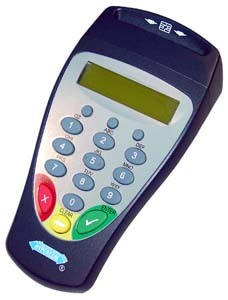 The pin pad allows your merchants to enter their pin debit numbers so you can accept pin debit cards. Debit cards have lower transaction rates which can mean savings for you.